◀ Interview with creator and artist of hit shonen manga title “Clock Striker”! 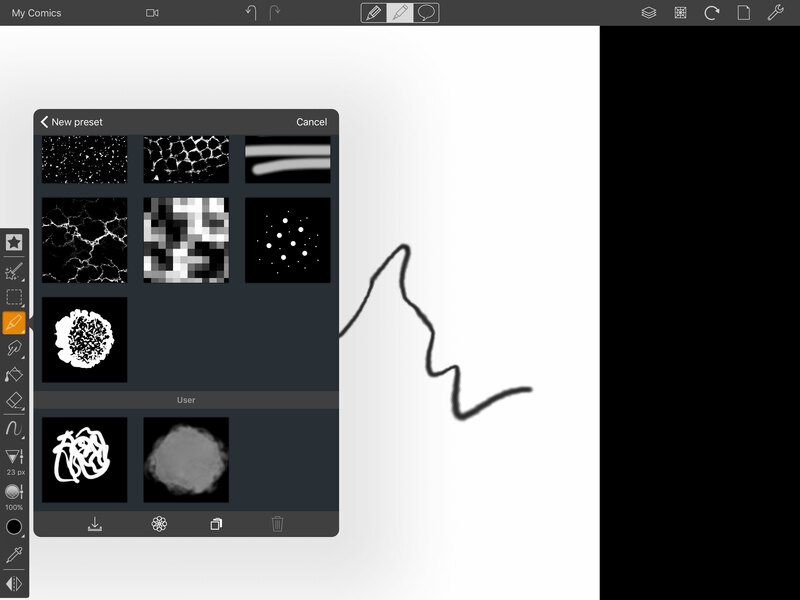 With Comic Draw 1.1 you can not only choose from a variety of bundled textures but now use your own textures for advanced texture layering for creative brushes. 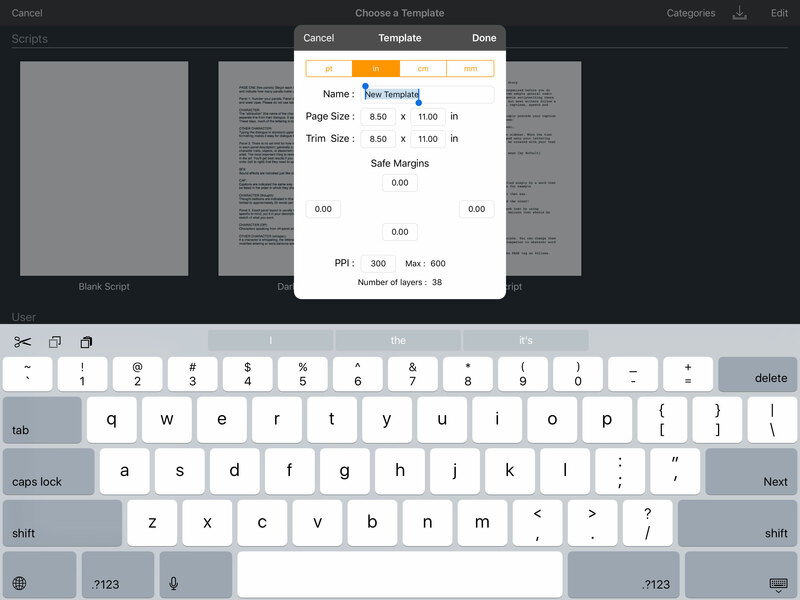 You can import a texture from cloud storage, Photos library or paste from the clipboard. 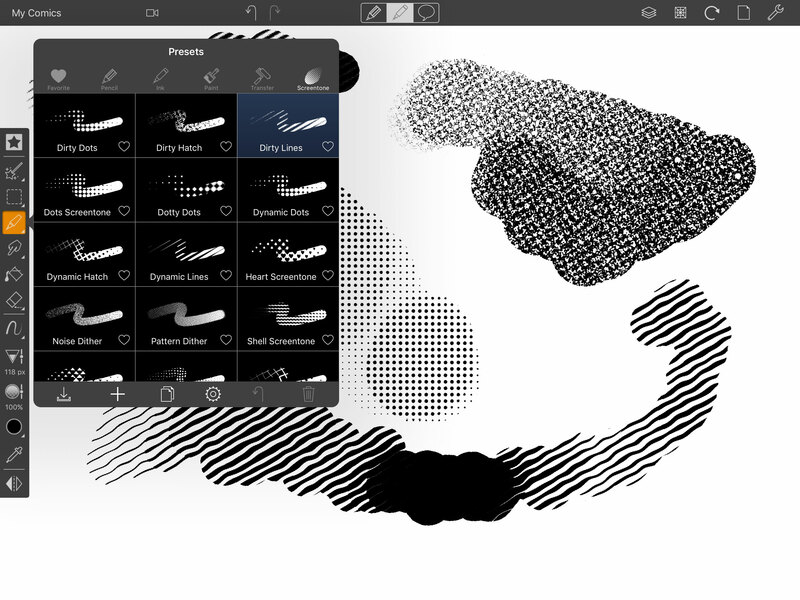 A 1-bit mode for solid strokes that are clean to color is now available for brushes. 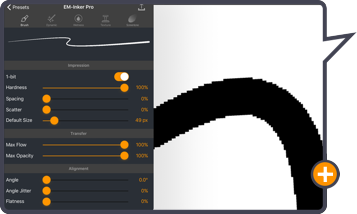 1-bit mode filters the pixels from the brush such that they are either 100% opaque or 100% transparent. 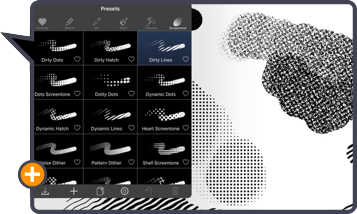 Dynamic screentones are now included that respond to opacity and allow you to design the perfect screentone effect from a variety of pattern sources and parameters. Get the perfect canvas for your project. 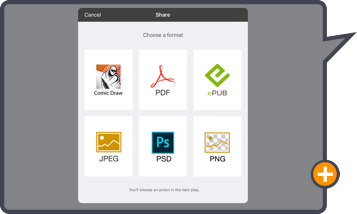 Whilst Comic Draw comes with a number of standard templates to choose from, creating your own custom template lets you make a canvas for whatever need you may have. 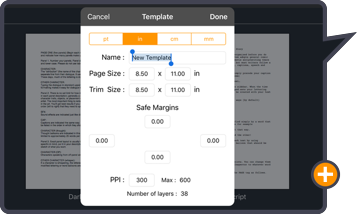 When you create a new template choose the name, canvas dimensions – including Trim and Safe Margins – and resolution. 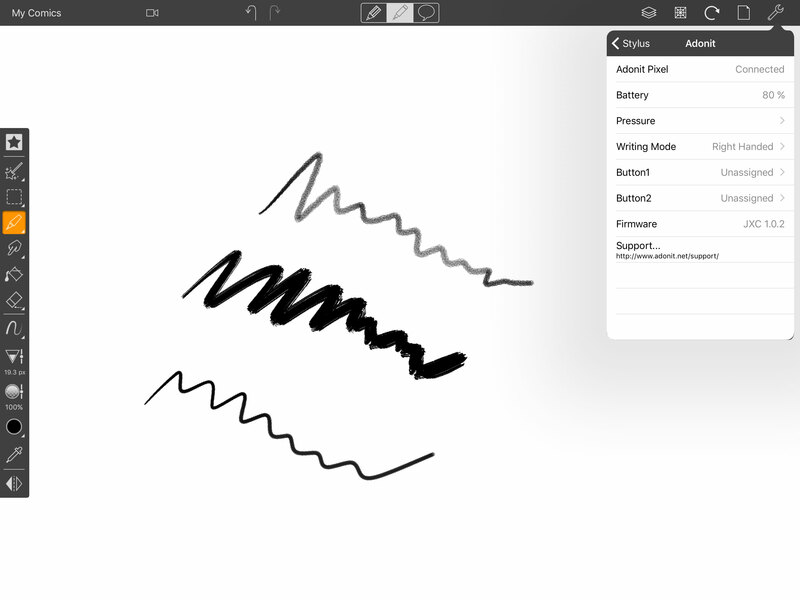 Drawing with a finger is OK, but drawing with a proper stylus is better. 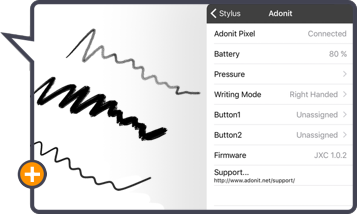 Comic Draw 1.1 now has Adonit and Wacom Stylus support. 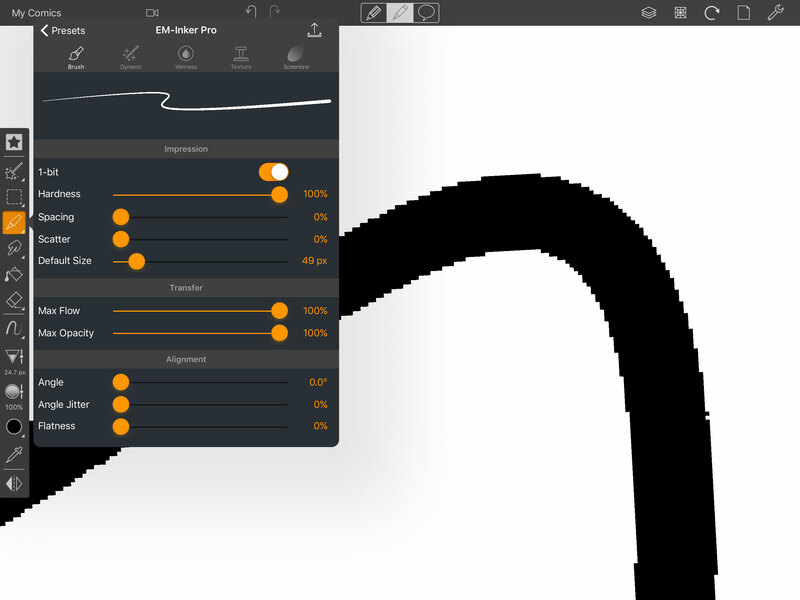 Plus with the new Stylus Pressure Curve, you can get the stylus pressure to react the way you like (including Apple Pencil). 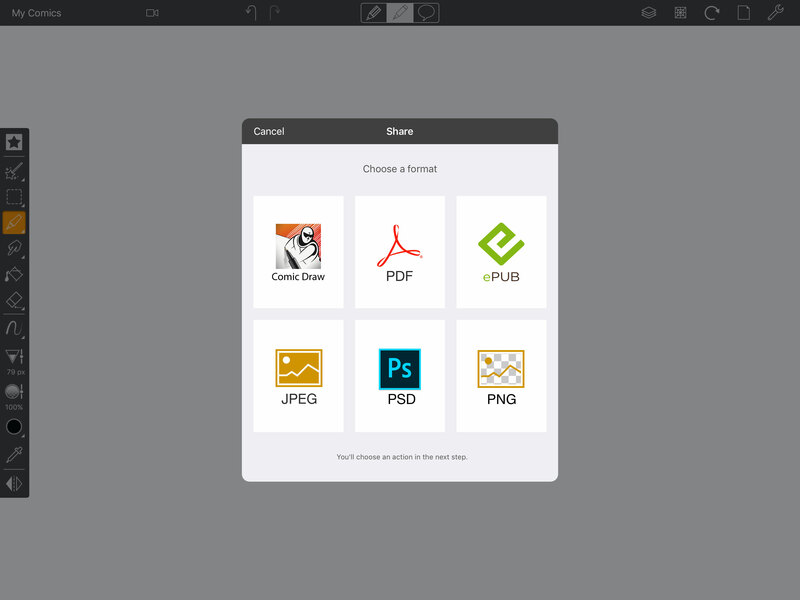 Now you can export your Comic Draw project out as a PSD file. Each page is delivered as a layered PSD file so you can open in other applications that can read PSD files for further editing if needed. This Comic Connect 1.1 update now supports iPhone!